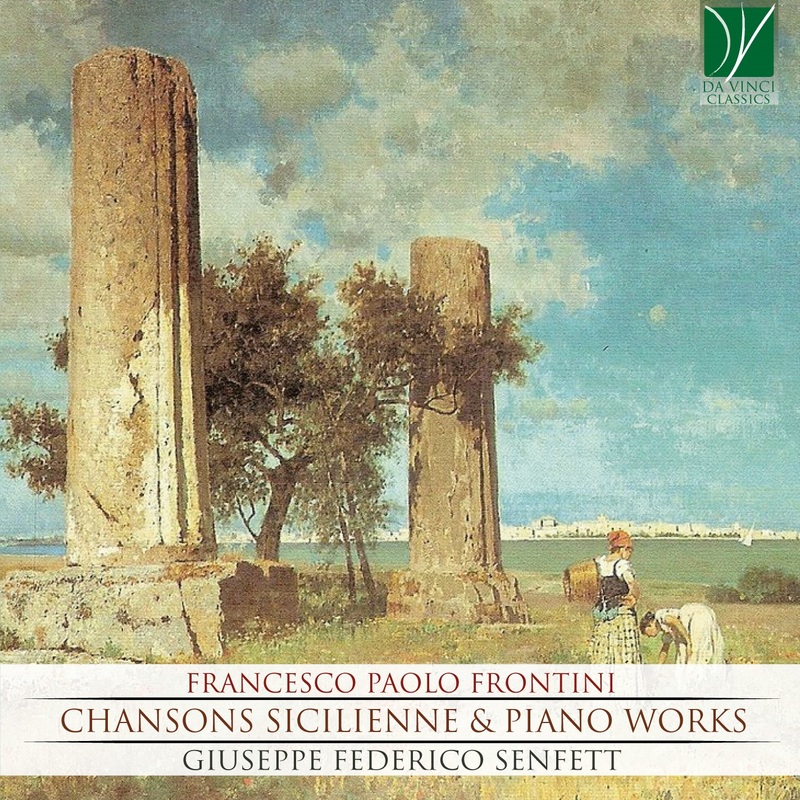 Francesco Paolo Frontini (Catania, August 6, 1860 – Catania, July 26, 1939) was an Italian composer. He studied music with his father, composer Martino Frontini; he also studied the violin with Santi D’Amico, playing a concert with him at the town concert hall at the age of 13. At 15 his first composition, a Qui tollis, was played at the city cathedral, under the direction of Pietro Antonio Coppola. In 1875 Frontini matriculated at the conservatory in Palermo, where he studied with Pietro Platania; from there he passed to the conservatory in Naples, where he received his diploma in composition under the tuition of Lauro Rossi. Among his first substantial compositions was a funeral Mass in honor of Pietro Coppola. In 1881 came the premiere of a three-act melodrama, Nella; further operas followed, beginning with Sansone in 1882, Aleramo (based on the legend of Adelasia and Aleramo) in 1883, Fatalità in 1890, Malia (on a libretto of Luigi Capuana) in 1891, and Il Falconiere in 1899. At the same time, his lyric poem Medio-Evo received favorable notice from Jules Massenet. He wrote music for the one-act play Vicolo delle belle by Saverio Fiducia, as well as for Antonino Russo Giusti’s comedy U Spiridu, which was shown in 1920 at the communal theater under the direction of Gaetano Emanuel Calì. He also wrote a number of religious and secular choral compositions at this time. Frontini also wrote numerous songs, melodies, serenatas and romances; the most popular of these were his Serenata araba, Il piccolo montanaro, and a Triumphal March. In addition to his activities as a composer, he taught music and counterpoint at the Ospizio di Beneficenza. One of Frontini’s chief interests was popular music and song, and he compiled the first collection of Sicilian folk songs in Italy; fifty pieces from this collection were published by Casa Ricordi in 1882; a second collection, titled Natale siciliano, was published in 1893 by De Marchi of Milan. Frontini would die in 1939 in the city of his birth. Giuseppe Federico Senfett: Sicilian class 1979, talented pianist and composer, graduated in 2003 with piano at the Vincenzo Bellini Music Institute in Catania; in 2007 he achieved with 110 and praise the Diploma Academic Interpretative-Composite Address in Chamber Music under the guidance of M° Marco Grisanti. In 2011 he attended the Master of Music Pedagogy at the Conservatory of Swiss Switzerland in Lugano. Parallel to the cameristic course he follows composition classes with Giacomo Manzoni, Azio Corghi, Alessandro Solbiati and Piero Niro. He won three scholarships: “Lorenzo Perosi” Conservatory of Campobasso, the Conservatory of Italian Switzerland (CSI) in Lugano and the Mario Negri Medical Research Foundation in Milan, occasionally given due to special artistic merit. He plays in a permanent “Duo” with Luigi Pettrone, first clarinet of the Orchestra Teatro Verdi of Salerno and guest professor of the San Carlo theater of Naples, with whom he won the 29th A.M.A. Calabria. As a soloist, he is a finalist in 2004 at the A.Gi.Mus international competition. In 2003, he took third place in the international contest “Gianluca Campochiaro” of Pedara (CT) and obtained other important placements in other competitions as the second prize at the National Competition “Citta di Rocchetta” for piano and orchestra with the concert K.414 by W. A. Mozart. The present recording has been positively reviewed by the music critic Piero Violante on the cultural pages of the newspaper “La Repubblica”. He publishes some of his compositions at the publishing house "Esarmonia" of Capua (ARES - international), some of his transcriptions were recorded by the record company "A.V.M. Classical "in Italy with ﬂattering reviews in national magazines (Archi Magazine). He recorded for Ablaze Records (USA) and with the Brno Symphony Orchestra, his symphonic piece named “Genesis” (2018). In 2012 he wins a stage and collaborates with Sandro Di Stefano to create the soundtrack of the ﬁlm "DELINE" of the Italian record Giacomo Franciosa (Rai-Mediaset) produced by Cabira Film Production. In 2013 he became assistant to composer Maria Bonzanigo of Finzi Pasca. He is the ofﬁcial composer of "Con_Creta" theater director Diego Willy Corna (Ticino). Giuseppe Senfett's compositions received encouraging applause from renowned music masters and critics such as Ennio Morricone, critics and music essay, Paolo Isotta, Sergio Miceli, professor at DAMS in Florence, not as a critic and ﬁlm teacher, Fernando Ghilardotti, a teacher and historian of music and Lorenzo Arruga's critically acclaimed musician.